NEWARK, Calif. — Oct. 16, 2012 — Today Logitech (SIX: LOGN) (NASDAQ: LOGI) is expanding the ways in which you can stream and create videos with its new Logitech® Broadcaster Wi-Fi® Webcam. Made for video professionals, bloggers and hobbyists, this new webcam gives you flexibility to do more than other webcams, including live streaming, shooting videos from two different angles or video chatting on your favorite Mac® computer. The Logitech Broadcaster Wi-Fi Webcam makes it easy to create professional-looking videos from your Mac, whether you’re a professor recording a lecture or a musician demonstrating how to play the guitar. You can stream live video directly to Ustream®, and use an iPad®, iPhone® or Mac to control and preview the video. The Logitech Broadcaster can also act as a second video camera, adding a complementary perspective to capture content beyond your Mac’s embedded webcam. And, its wireless connectivity gives you the ability to shoot from virtually any angle you want. For richer and more dynamic video content, you can easily capture the two views and stitch them together. Enhancing mobility and creativity, the Logitech Broadcaster is also compatible with popular Mac video applications. You can record video with QuickTime® or Photo Booth®, edit and view videos with iMovie® or Final Cut Pro®, and video chat with FaceTime®, iChat® or Skype™. The Logitech Broadcaster Wi-Fi Webcam is expected to be available in the U.S. and Europe beginning in October 2012 for a suggested retail price of $199.99. 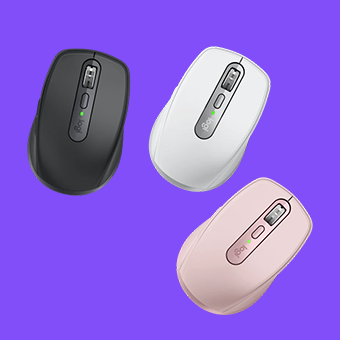 For more information, please visit www.logitech.com or our blog.